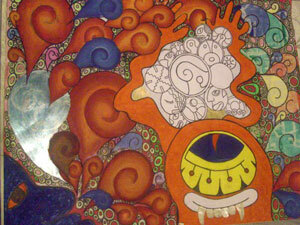 Jóvenes Sin Nombres was a project composed of first generation Latinos from Mexico, South America and the Caribbean. While Latinos are Pittsburgh’s fastest growing immigrant population they remain largely invisible to the larger population. 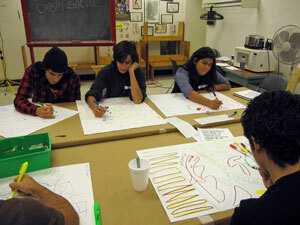 Jóvenes Sin Nombres aimed to strengthen Latino youths’ engagement with Pittsburgh through arts projects that allow them to explore the relationship between their cultural traditions and the history of the city they now consider home. 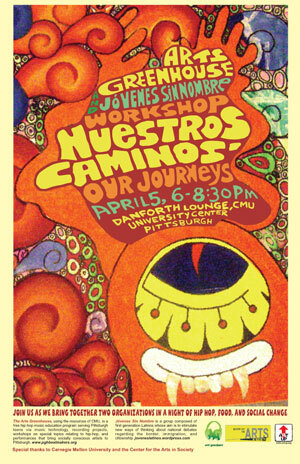 Beyond fostering the recognition of Pittsburgh’s Latino population, the Jóvenes aim was to stimulate new ways of thinking about issues and misconceptions that are at the heart of urgent national debates relating to the border, immigration, and citizenship. 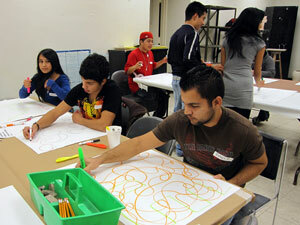 In 2009 and 2010, the group organized a series of workshops with local artists, activists and academics, and planned and preparing a mural, for eventual display at the Latino Family Center in Squirrel Hill. 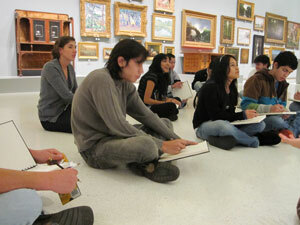 Jóvenes Sin Nombres was co-sponsored by the Center for the Arts in Society and the Carnegie Museum. The History Department’s Michal Friedman has been involved in several projects that focused on immigration reform, including the documentary film, “Dream Acts: Sueños en Vilo.” The film tells the story of undocumented minors in Pittsburgh who were not protected from any immigration laws and were living their lives in fear of deportation.